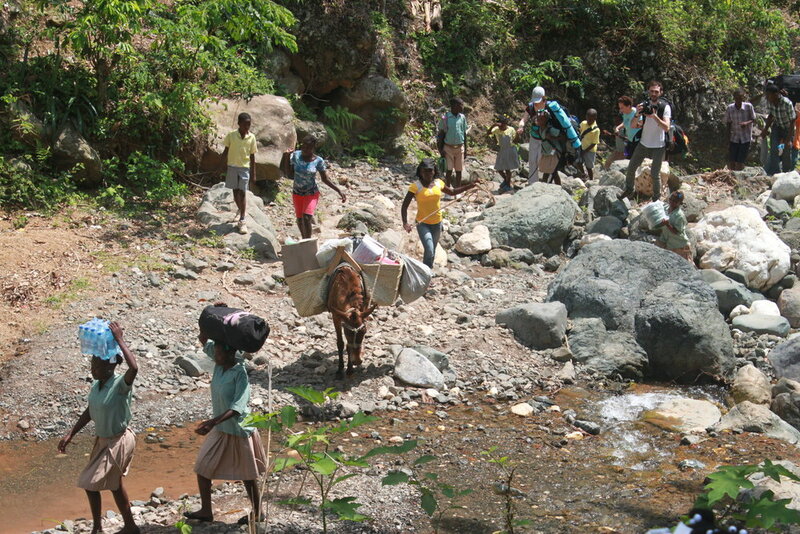 VHP has partnered with Chermaitre since 2001, a village 2,500 feet above sea level in the northwest of Haiti. Chermaitre is only accessible by foot up a steep mountain trail. There are no roads, and there is no electricity or running water. About 500 families populate Chermaitre, and almost all are unemployed, with subsistence farming being their sole source of food and trade value in the local markets. Over 250 children attend a primary school in the village school built by VHP between 2005 and 2008. As of now, it is the village’s only structure in the village that is not a family home. Haiti has no systematic sanitation and only the wealthiest of families can afford to boil water for drinking so water-born illnesses are endemic among children. The nearest health care is the clinic VHP helped build to serve Chermaitre and 30 nearby villages. A 90-minute walk from Chermaitre, it offers basic care four days a week, and is staffed by a doctor two weekends per a month. In focus groups during several trips to the village, we learned the harsh nature of Haitian mountain life. It is on average a 30-minute walk to school, but some students walk as much as 2 to 3 hours up and down steep mountainsides to get there, because their parents cannnot afford other schooling. We are privileged to partner with the wonderful people of this village towards improving their conditions towards sustainability. When we return each year, we are welcomed as family and we are often asked about students who have previously come to the village: “Kote Fiona?” (Where is Fiona) “Kote Priscilla?” (Where is Priscilla?). Despite the challenges faced by the people of Chermaitre, we learn from their strength, diligence, resilience, and care for each other.